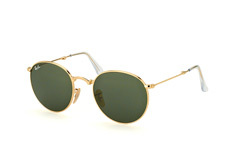 Ray-Ban is responsible for creating many iconic looks. The 'Blues Brothers' John Belushi and Dan Aykroyd are inseparably linked with Ray-Ban sunglasses, just like Tom Cruise and Val Kilmer of 'Top Gun' fame. And who can think of the Beatles' John Lennon without picturing his round dark glasses? 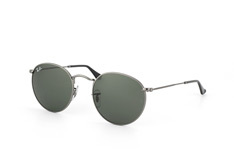 Introducing the Ray-Ban Round Metal, a model that evokes the peace, flowers and counter-culture of the sixties. Many of the most popular Ray-Ban sunglasses have been made famous by Hollywood film actors. 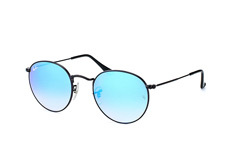 You just can't think of Tom Cruise in 'Top Gun' without recalling his Ray-Ban Aviator glasses, and the same can be said of the Blues Brothers and their Wayfarer shades. 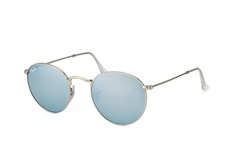 Besides films, Ray-Ban sunglasses have also influenced an entire generation of music-lovers the world over: just picture John Lennon, Paul Shaffer or Eric Clapton, and you will instantly be reminded of the Ray-Ban Round Metal. It's not only men, though, whose looks were made legendary by the Round Metal: Anne Hathaway and Miley Cyrus are regularly spotted wearing them too. The Round Metal is a model that fascinates with its simplicity: a metal frame made from tubular wire is all it takes to create a distinctive look. 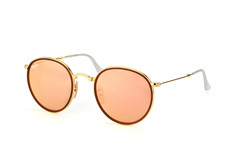 Although inherently linked to the sixties, the Round Metal is a timeless piece of fashion and style – there's no need to be a flower child to look great wearing these glasses! At Mister Spex, you can choose from the classic Round Metal sunglasses frame or a foldable version. Both come fitted with a curved brow bar and adjustable silicone nose pads, and the ends of the temples are covered by clear plastic tips. Combined with lens colours from military green to hip purple, you have an almost limitless choice of styles. All lenses from Mister Spex are durable and offer a filter to protect from harmful UV rays. Most colours can be ordered with a mirror coating and some lenses are available polarised. Polarised lenses block 98% of reflected light and so eliminate glare, increasing visual clarity, enhancing contrast and reducing eye strain. You will definitely notice the effect of polarised lenses when ski-ing or driving in the rain. With so many options to choose from, it's good to know that you can take all the time you need to pick your perfect pair of Ray-Ban Round Metal sunglasses in the comfort of your own home with our virtual fitting feature. 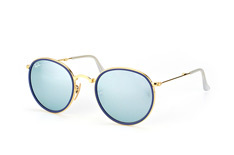 Find your perfect-fitting pair of sunglasses at Mister Spex with just a few mouse clicks. 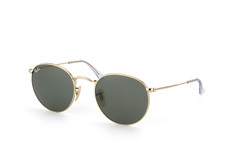 Choose from any model of the Ray-Ban range, the world's number one eyewear brand.